Properties in Kings Shops average 4.8 out of 5 stars. 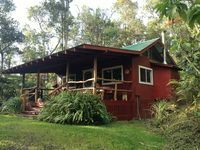 Property 15: Kaloko mountain cabin above Kona with hot tub and fireplace - rustic adventure! Property 19: Newly Renovated 3-Bedroom Home - Luxury model home living. Property 20: Charming Kaloko Mountain Cottage with hot tub - private,secluded and cozy!! 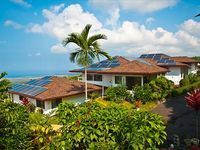 Property 22: Mauna Lani KaMilo Home (424) - Beautiful cottage w/ an amazing view of Mauna Kea!! Property 36: Puako Beach... Big Island, Hawaii! Property 48: Spacious Ranch Cottage with private hot tub and VIEW! We fell in love with Carson&rsquo;s cabin!! Wish we could have stayed longer. If we are ever back in kona we plan to stay there again!